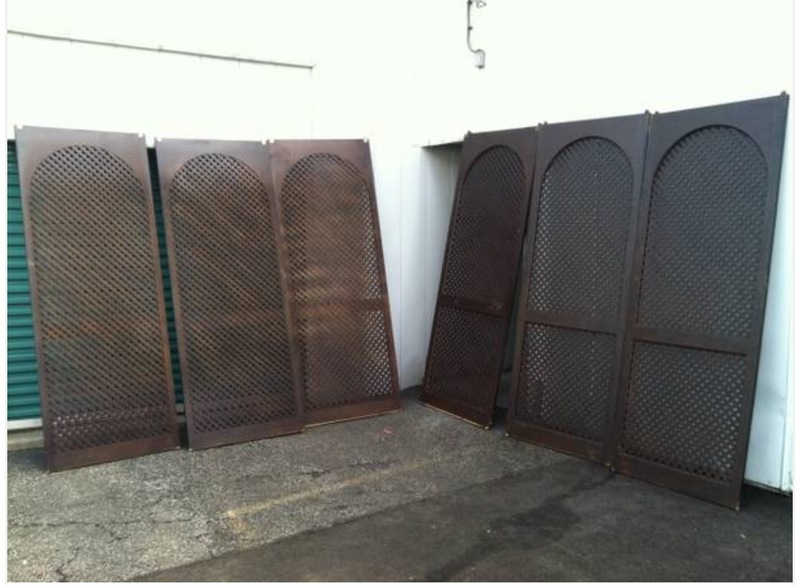 The first thing that came to mind about these doors was designing a Moroccan theme room around these doors. They can be used as room dividers or pocket doors. 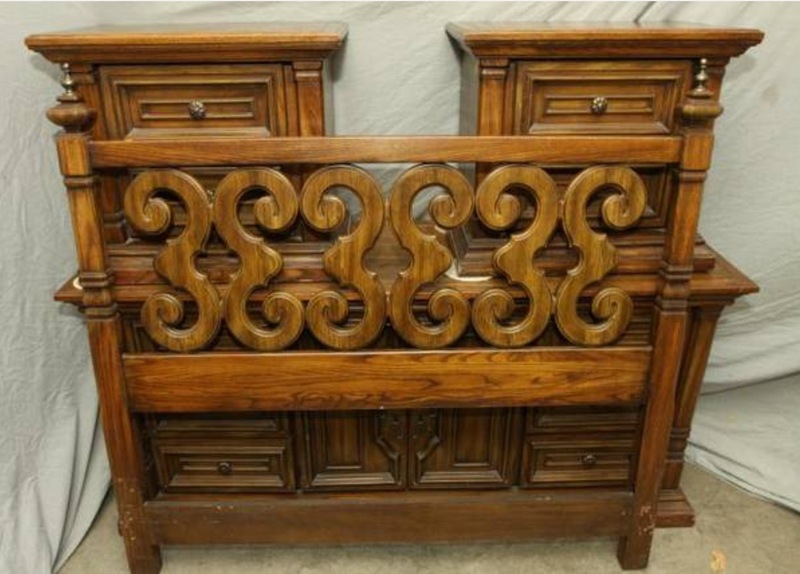 Im still on the hunt for a Queen headboard. Although, this stood out just a bit for me. But didn’t completely sell me just yet but thought I’d share it with you anyway. I’d just sand and paint this baby and call it a day! 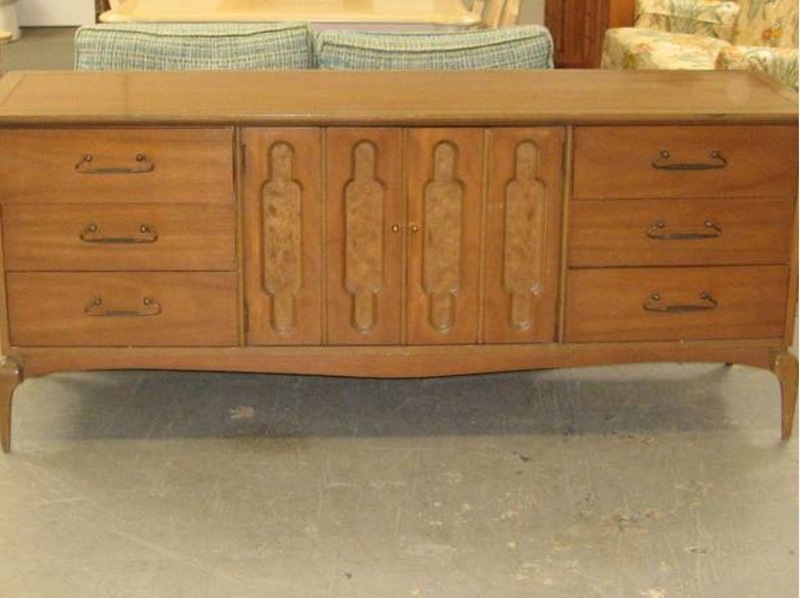 Lastly I love this deco dresser. It could be used in multiple ways. As an entertainment center. Place under your wall mounted tv and store electronics, place some decorative picture frames with a nice floral arrangement. Or, it can be used as a double bathroom vanity. Of course, I’d change the hardware, sand and paint it. It be looking good as new! What’s your New Years Resolutions this year, if you have any? Sunday I spent most of the day running errands and also looking for some new items to work on and bring to life, in the New Year. Part of my New Years resolution is to finish what I’ve started. So that being said I’ve decided to finally get started on this chair I bought over the summer (see below). I must admit. Even though I haven’t started on this project yet. 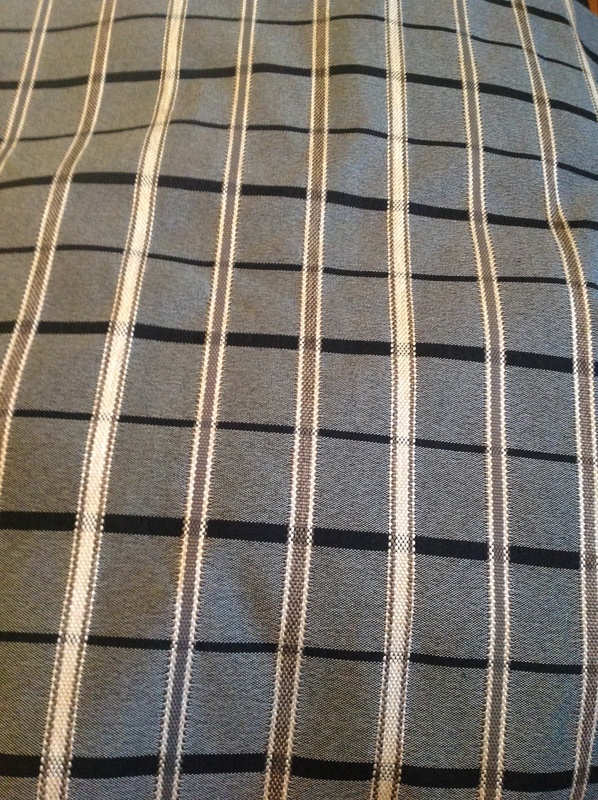 I’ve been searching around for the perfect fabric and I finally found the one. It looks a bit masculine but I think it will bring out some character in the chair and I love it! 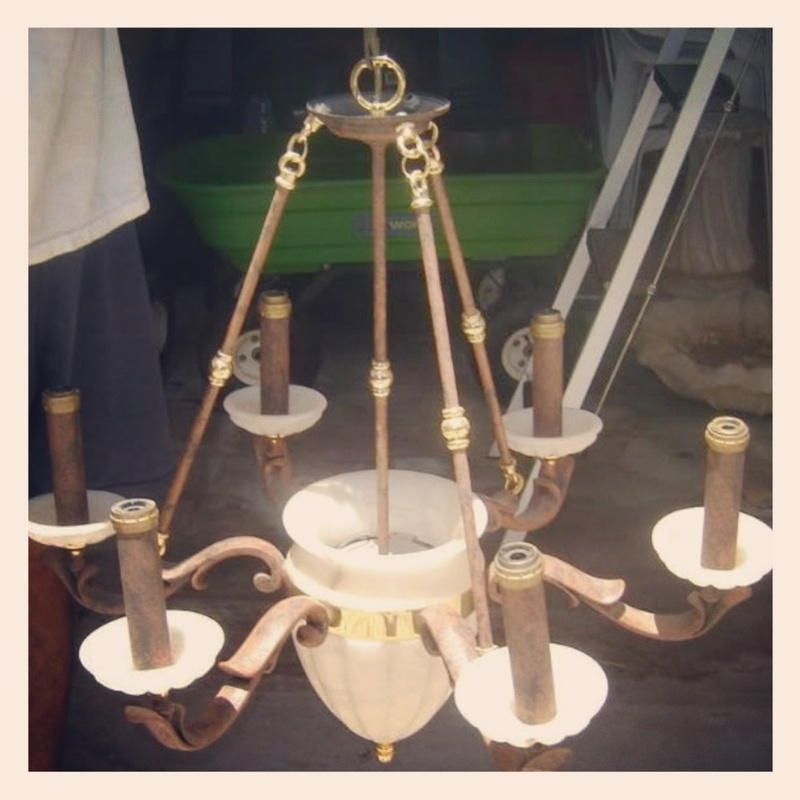 Another find is this lovely 6-light iron chandelier. I’ve probably looked at this a dozen times before I contacted the seller from, “Craigslist”. I was of course pleased to know it was still for sale. So I’ll be purchasing it this week. Be sure to check back soon to see the final result. If you have any suggestions please feel free to share. I’m still deciding on what color to paint the iron…I’m thinking black or maybe gold. What do you think? 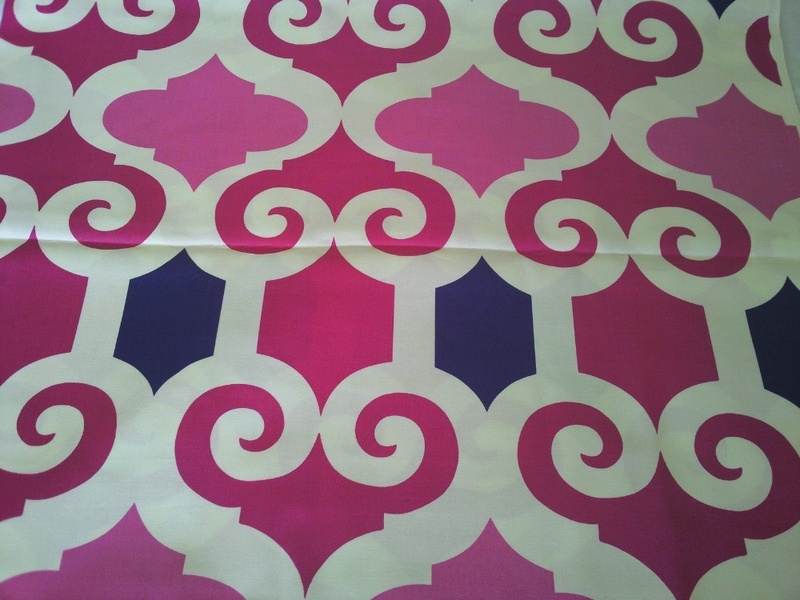 I was on the hunt for some new fabric when I came across a pin on Pinterest called, Pink Chalk Fabrics. As I was searching for something pink to match with my project decor. And then this lovely one appeared in front of me. Now I’m not much of an impulse buyer. I pick things up and hold it while I’m in the store until I’m ready to checkout. Or in this case watch it on the internet and hope it’s still there. Originally when I first saw it there were 9 yards remaining. A couple days later there were 2 yards left. Enough time had gone by and with a lot of thought I decided to buy. After all, I HAD TO HAVE IT!!! My impulse buy came into full effect at this point. I immediately put in my credit card information and hit the checkout button. It wasn’t until after my card info was entered that I couldn’t use this for it’s original purpose. My needed request was for an upholstery material, as it was being used for a chair. With a little disappointment on my behalf for not remembering it said the material was cotton. This would be too soft and would easily rip and be worn out before it’s time. I called and left a message about my mistake. After a long thought process; I figured it wasn’t such a bad impulse buy as it could easily be used for another project. After all I almost lost sleep over this and had to have it!! The following day a rep for the company called to ask if I wish to cancel my order. My response was simply a no as it’s too GORGE to give up! Please let me know if you have any suggestions what this should be used for? I’m open for all suggestions! Just bare in mind there are only 2 yards so I have limited options. So far maybe the thought of a a euro sham is the only idea. Hey, it’s almost the weekend happy Thursday!!! The other day I shared with a recent find on the infamous “Craigslist”. Well I’ve come across some other fabulous items I picked up over the weekend. I originally went to buy this table. But ended up coming back the next day for another which I also have show further below in my post. 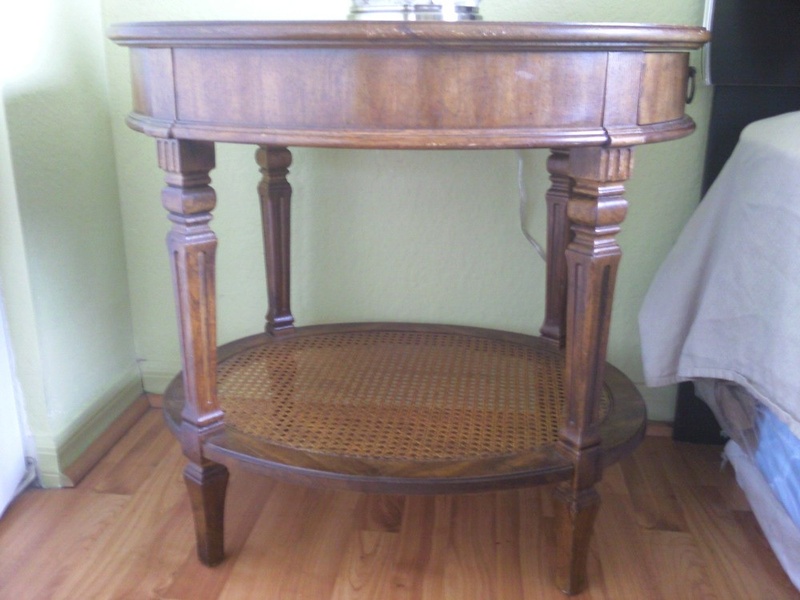 When I saw this table it was like love at first sight! I kept going back to the site to see if it was still available and after enough thought I decided to call to see if it was still available. As to my relief it was still for sale! The former owner told me that she was having a garage sale and I asked her to please keep it to the side for me as I don’t want to chance it being put out & accidently sold to someone else. The next day as promised it was left inside for the new owner (me) to purchase. It would look lovely as a side table in a formal living room but for now it looks just as good in my bedroom. I didn’t realize that it came with a draw until when I picked it up. It’s perfect for little storage items. As I opened the draw I found some stampings in and below the draw that told me it was manufactured by Huntington. So just as I suspected this was made by one of the best!! Just as I was leaving to put my new table in my car. I couldn’t help but noticed this other fancy item. The woman told me that all the proceeds were going to a charity for war veterans with disabilities. Which I was happy to I’m helping a good cause! Very similar if not like the one from the Cococozy website. See below. 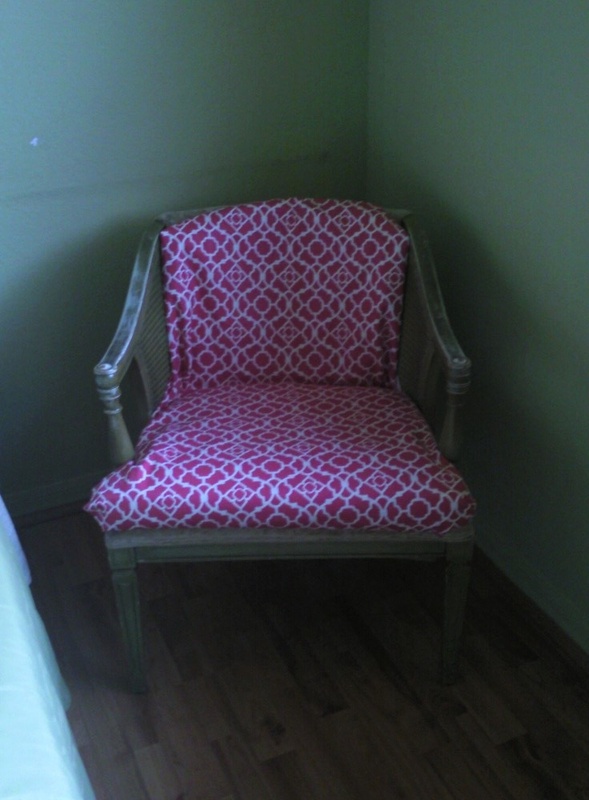 But as a temporary fix I just put some of the remaining fabric I had from my previous chair on this until I get my tools down here from CT to start upholstering it and putting the final touches to it. I know the pic looks a little dark but I’ll reveal the real finish piece soon! I can’t wait to show you the final touches to both the table & chair. Oh I almost forgot to mention they look very well together as a pair. If you haven’t notice they have the same ratton/wicker texture on them both. Who would’ve thought?! Enjoy your mid-day Wednesday weekday!! Ok so I’ve been gone now for about a year and half. But while I’ve been away from posting anything here I’ve done a lot. I’ve moved to the sunshine state! That’s right Florida & I’ve put myself back in school & graduated a few months back. However, since this blog has cobwebs and all over it I’ll do my best to update it since a lot has changed since the last time I’ve posted something. Today I’d like to show you. Something old turned new. 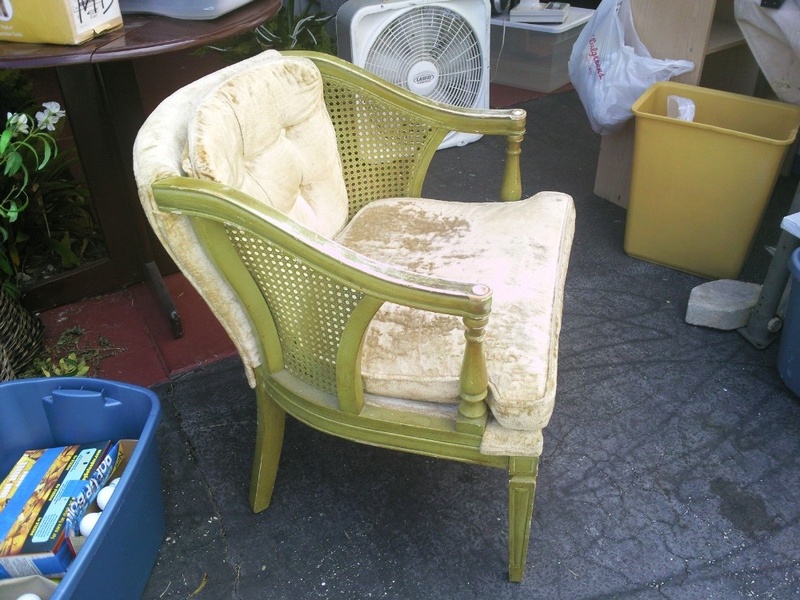 Below I have some before and after pics of a bamboo chair that I’ve purchased off the infamous Craigslist site. You know everything is a chance and a gamble and I chance it every time I see something on this site. But when I went to purchase this chair I fell in love with it when I actually got to see it in person. The owner was a pleasant middle aged Asian man. The reason he was parting with this piece of furniture is because he didn’t have any use for it any longer as it was in storage. Like they say one man’s trash is another’s treasure. And in this case I scored BIG!! I have some other pieces I purchased again from the same infamous site but I’ll share those with you tomorrow or at a later date! Tell me your thoughts on my chair. p.s. He has more of these chairs so I plan to purchase some more. I guess it’s from a dinner set or something but I’d like to sell them as I get them. Designed by Steven Gambrel, he transformed this beautiful Bronxville, New York home library (see below) into a lavish retreat. However, some of us may not have the same deep pockets to design such a lavish room. The first place where you can start that’s the cheapest way is to freshen up your space is with a new coat of paint. It breaths life back into the room! Next accessories. As mentioned before in one of my old post just take something from another room. But make sure it serves a purpose while bringing function and style. It doesn’t makes sense to bring clutter into the new space. Check out your local antique, thrift, tag stores and let’s not forget the flea market. These places can be gold mines! What’s old is now new and what’s new is now being reproduced for 2x the price of what you just paid for in these places. You can also check out online sites such as E-bay, Etsy, Craigslist and E-bay Classifieds (formerly known as Kijiji). Not everything you want to decorate has to be expensive. If you’re willing to put in a little elbow grease and research you’ll be well on your way with a new space transformed. How would you transform your space? Where would you start? What would you keep or throw away? Send me your pictures and maybe I’ll post them. 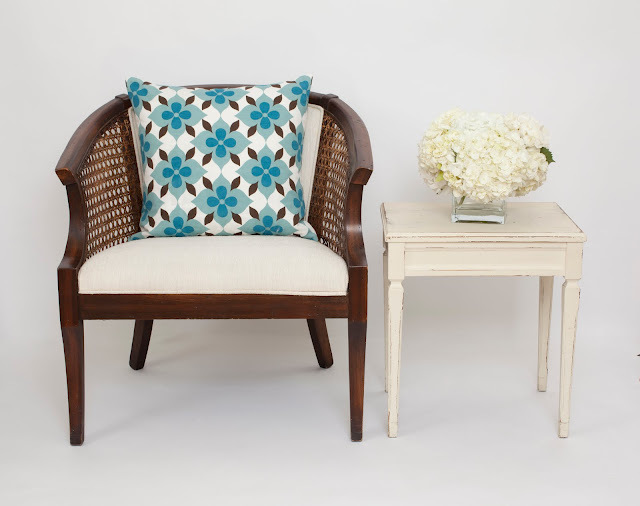 Enjoy Your Tuesday Decorating Tips!